Prem Chopra presents the collective wisdom of centuries in a story as modern as the computer. The messages are simple as the reader journeys through the life of Pete Cameron, a young computer executive, who must find the inner strength for the challenges of a new computer age. Each of us can find Purpose and Meaning in our lives. Chopra leads you through the paths of wisdom. The book is uplifting, elevating your spirit to new heights. 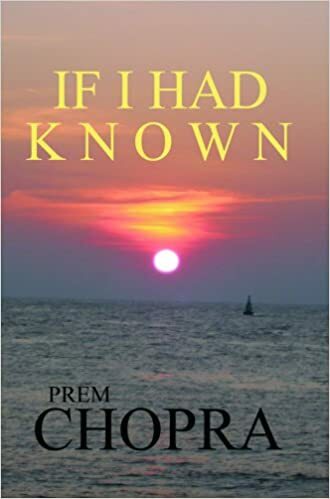 Like a magical chemist, Chopra distills and teaches the wisdom of the ages in a modern story. At the end of each chapter, Chopra outlines the Lessons for Life that Pete has discovered. Dr. Chopra’s gentle hand will guide you through the path of personal enlightenment. This is a beautiful and inspiring book. Your spirit will be elevated and you mind stimulated. This is a special little book that is an answer to the most important questions that confront humanity: is there a purpose and a meaning to life and what are they. Harrow Press, 2001. Hardcover with Dust Jacket. Dr. Prem Chopra presents the collective wisdom of centuries in a story as modern as the computer. The messages are simple as the reader journeys through the life of Pete Cameron, a young computer executive, who must find the inner strength for the challenges of a new computer age. The Purpose and Meaning of Life is a beautiful and inspiring book. Your spirit will be elevated and you mind stimulated.